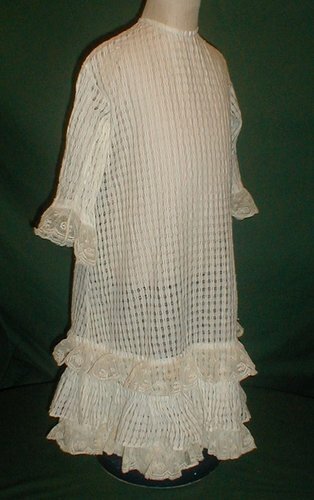 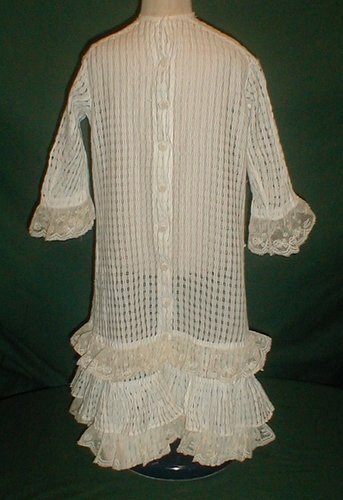 A precious child’s 1880’s open weaved lace dress. The sleeve cuffs and hemline are decorated with ruffles of Val lace. The dress is unlined and has a Dorset back button closure. The dress is in very good and clean condition. 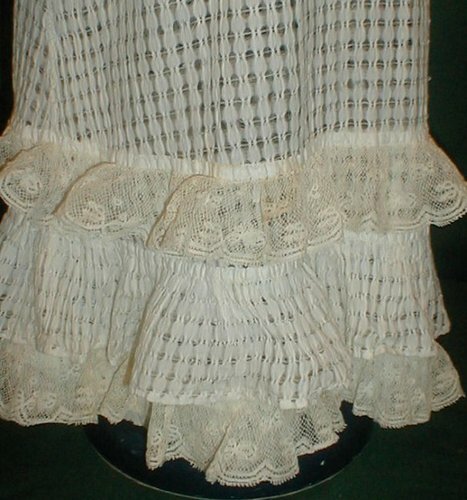 There are no breaks in the lace fabric. 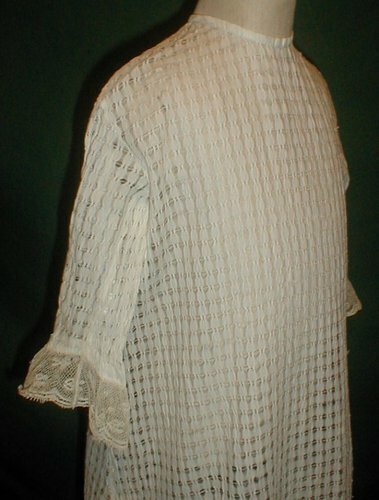 Shoulders 11 Bust 24 Sleeve length 10 ½ length from shoulder to hem 25.